Some records you love because they are immediate and instantly gratifying. They are the prettiest girl at the dance, the one who all of the boys want to dance with. Then, there are the other ones. They have a unique character which stops them from being conventional, yet are appealing just because of their unconventionality. They are the pretty girls at the dance that don’t seem obviously pretty – a crooked tooth here, a set of out-of-date glasses or a drastic haircut there. Yet it is these aspects which make them so attractive, and in many ways so much more interesting. Robyn Hitchcock’s Jewels For Sophia is one of those. 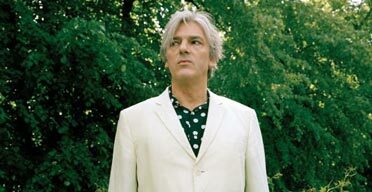 I can’t actually remember how I first discovered Robyn Hitchcock. It could have come through my involvement with a collective of music geekery in Black Cat Bone. There are a few Hitch-heads over there. I had heard a few things here and there. There were a few acclaimed albums which were recommended to me; I Often Dream of Trains being one, and Underwater Moonlight, which is arguably Hitchcock’s best album with The Soft Boys, being another. But, it was Jewels For Sophia that made me a fan. I saw it on sale at a Virgin Megastore (of all places) in Piccadilly Circus, and decided that I’d check it out. What kind of record I was in for, I wasn’t sure. But looking back, I had discovered one of my favourite albums. It took some time to catch on, but once it did, it completely captured me. The first thing I noticed about it was a total lack of cliché. Hitchcock is known for his absurdist left-of-centre lyrics, of course. But the music itself seemed to stand outside of what was happening at the time too. I heard Bob Dylan in there, particularly on the tracks “You Got A Sweet Mouth On You Baby”, which sounds like a lost cut from Blood on the Tracks, and the sublime “I Feel Beautiful” (with the immortal lines “I water the tomatoes and I think of you/No one’s ever watered me the way you do”). I heard the jangly glory of what Hitchcock had helped to create with the Soft Boys, handed down to bands who admired them like REM and Grant Lee Buffalo, especially on the tracks “Elisabeth Jade” and “Sally Was a Legend”, on which Peter Buck of REM plays. And of course there are the obvious Syd Barrett meets John Lennon comparisons often made to describe Hitchcock in general to be considered. There is a certain validity in this – the melodicism with English eccentricity torch is still burning through out most of Hitchcock’s output, and is particularly strong here. There aren’t many songwriters out there writing about cheese, antwomen, Buzz Aldren, and Seatac Airport all on one album. This is a record where rock clichés have no purchase. And Hitchcock’s voice – very English, deep, almost spoken – makes the odd imagery work. It’s like hearing an eccentric-but-cool uncle speaking. With that said, it’s easy to get sidetracked by all of the absurdity and fun, and miss the poignancy underneath. If “NASA Clapping” comes off as a punk-meets-Dylan-meets-the Surrealists barrage, then “I Don’t Remember Guildford” and “Dark Princess” stand as more sombre pieces, tracing the memories of a forgotten chapter in a life, and the idealised vision of love which takes on the characteristics of an act of worship respectively. There is so much included here; top flight playing, quirkness, grit, beauty, and a seemingly willful approach to songwriting that attempts to cut any connection to rock conventions. It is charming, and a little bit unpredictable too. Because it diverges from the norm, it gives the impression that it could go in any direction. For some, this is off-putting. But in this, Jewels For Sophia does what the best albums in rock/pop music does; it provides the escape route from where songwriting often settles, with a set list of subject matter, language, and sound. With this, and with Hitchcock’s other work, anything goes. Anything can become a song. The pretty girl at the dance can be anyone. Spooked, an acoustic album which Hitchcock made with Gillian Welch and David Rawlings. 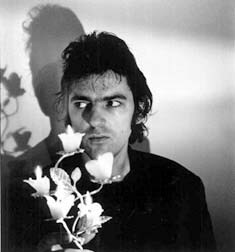 Olé Tarantula, which is credited to Robyn Hitchcock and the Venus 3, which again includes Peter Buck of REM, along with fellow ex-Soft Boy and Katrina & the Waves founder Kimberley Rew. Storefront Hitchcock, which is the soundtrack from the Jonathan Demme concert movie of the same name. Next Article Happy Birthday, Andy Summers. I was alerted to your Blog by a fan. I found it fascinating in that only one musical artist was known to me. Nat King cole. Is it a generational thing? Maybe! Undaunted I proceeded to stumble through your ,at least to me, obsure musical references. I was rewarded when I arrived at the Robyn Hitchcock stage. Never heard of the guy.However your prose about Sophie’s Jewels was so descriptive and intriquing that I have gone on a quest to hear this artist and his song. Thanks for the links. They will go a long way to increasing my knowledge of non mainstream artists. Hitchcock is one of those writers where you have to adjust your brain a bit since his approach comes from left-field. But, he’s also one of those writers whose songs give you something new every time you come to them. And he is a fantastic guitarist too in a not showy sort of way. Another album to consider is Jewels for Sophia turns your crank is A Star For Bram which is an album of outtakes (from the JFS sessions) that doesn’t sound like an outtakes album.